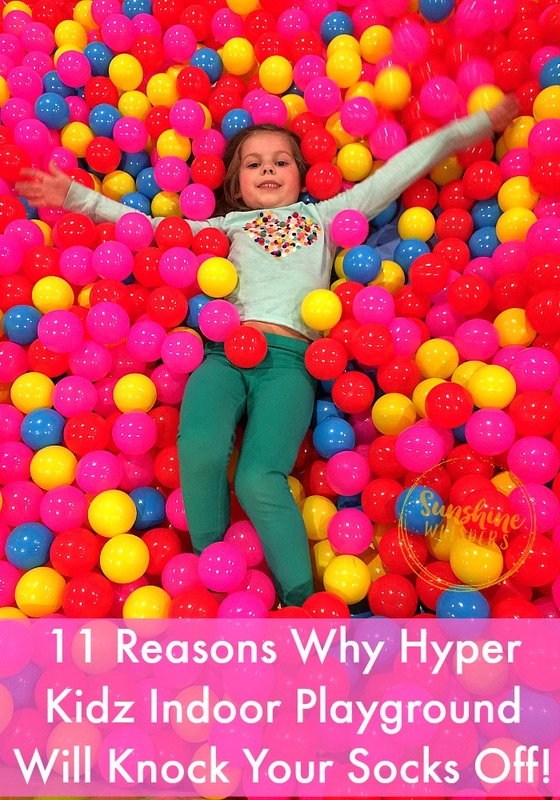 11 Reasons Why Hyper Kidz Indoor Playground Will Knock Your Socks Off! 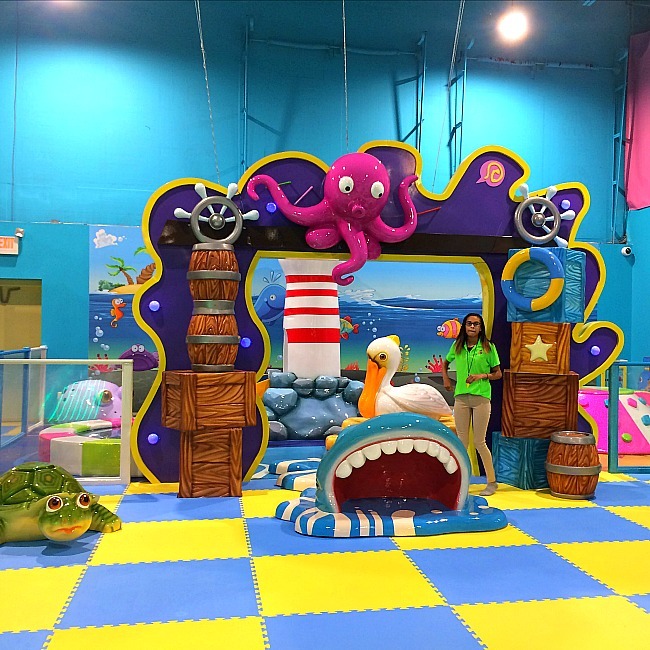 Hyper Kidz Indoor Playground in Columbia, MD is unbelievably fun for kids ages 0 to 13. 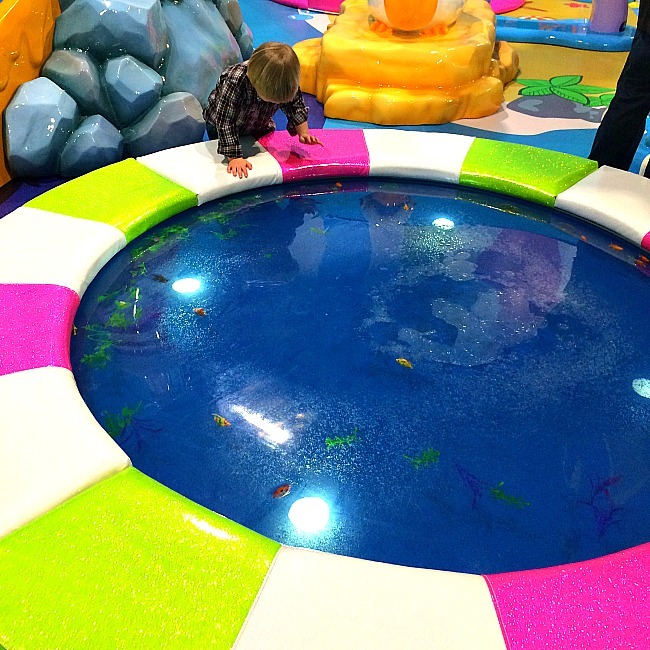 There are tons of amazingly fun play features and you will want to play here again and again! 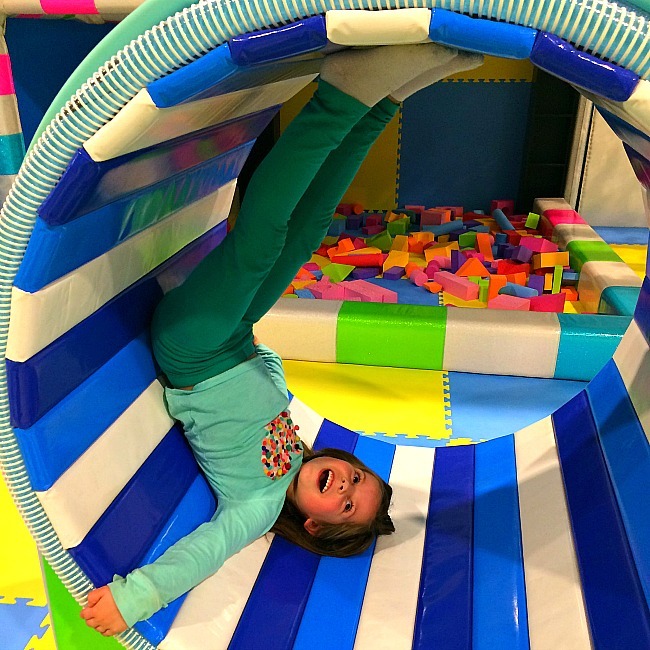 If you asked a group of kids to design the most fun indoor playground they could dream of, they likely would have come up with a place like Hyper Kidz Indoor Playground in Columbia, MD. My daughter and I recently checked out Hyper Kidz and she was thrilled the entire 2 1/2 hours we were there. For real, she didn’t stop playing the entire time! Swinging, bouncing, dancing, climbing, jumping. There were probably a good 20-30 play features we totally loved. But the 11 listed below are truly fantastic… and will be the reason we keep coming back to Hyper Kidz again and again. 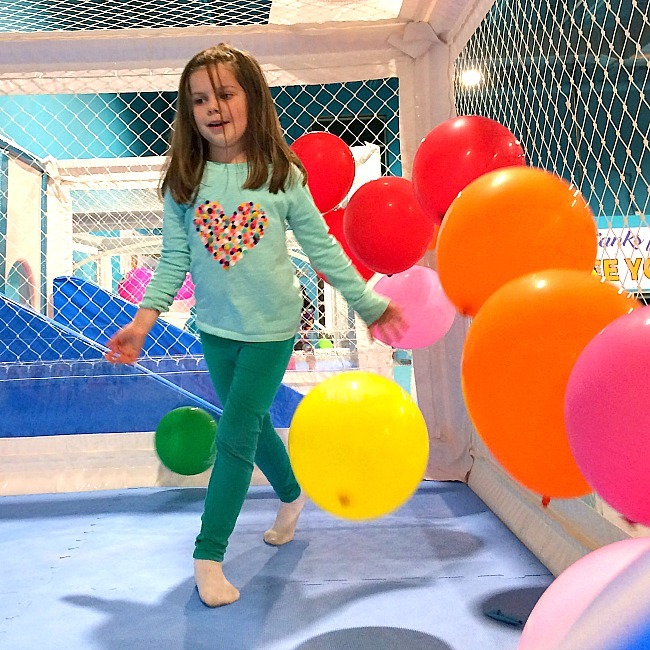 Mini Kid Zone- Ages 3 and under. A self contained area specifically for crawlers and walkers. Ummmm, doesn’t this looks like so much fun! 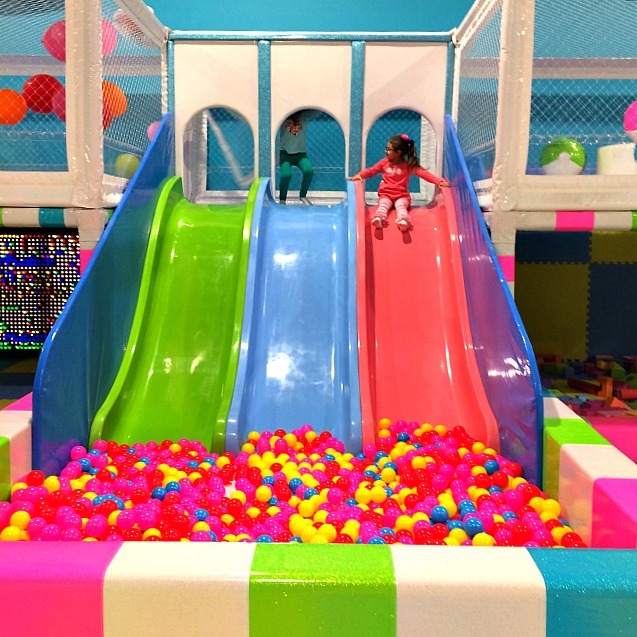 The best part is that this area of Hyperkidz is interconnected, so kids can easily slide down into the balls, hop out, run up the stairs, through the balloons, and down again! Actually there are a ton of awesome slides at Hyper Kidz! This one was my favorite I think. It is like one of those super fast slides they have at carnivals or county fairs. There are bouncy slides, a slide with changing images projected on it, a slide that lights up when you slide down (for younger kids), and a few toddler friendly slides in the 3 and under area. Oh, and this slide. I almost forgot about this one. Why? 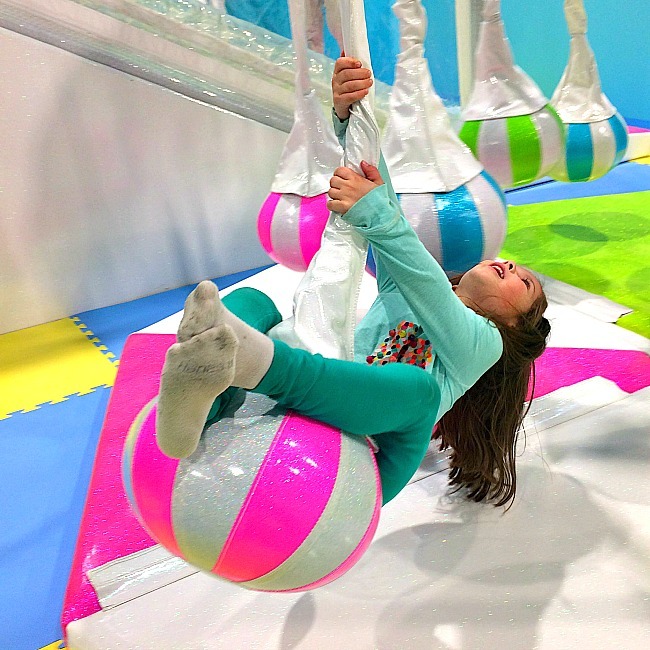 Because my daughter was so absorbed in everything else inside Hyper Kidz, she didn’t check this slide out until the very end.. and then she slid down it 10 times in a row! AND look at that Shark Mouth! Totally awesome way to enter the big kid play area! 3. A lot of fun for kids under 3 years old too! This play feature! Part pond, part waterbed. 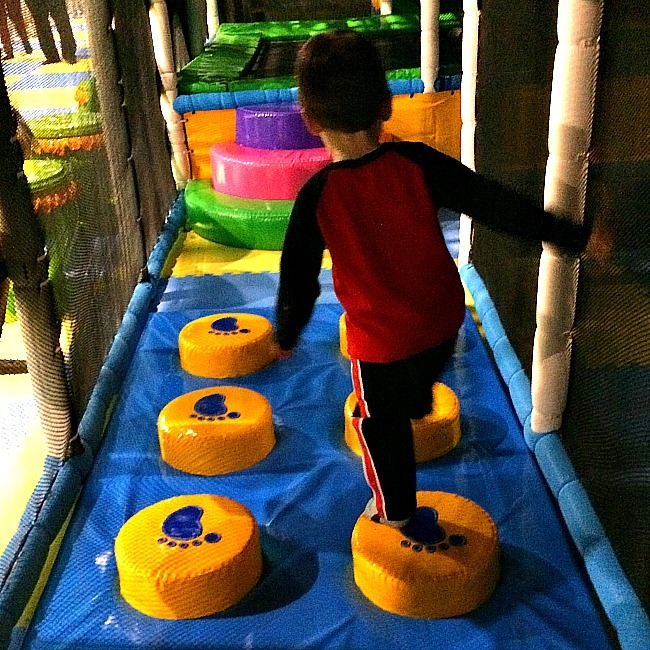 Kids can bounce on it, jiggle it, and just have a blast doing something bouncy that is not dangerous or overwhelming. You may not see these guys on the floor until you inadvertently walk on them. Then, you will totally want to reprise Tom Hanks’ role in BIG and pound out chopsticks. Or, just walk a scale.. which is fun too. I like that there are two of them because I bet they are a popular feature with pretty much all the kids. Ok, the big kids play area (ages 4-13) is phenomenal. First of all it is HUGE! 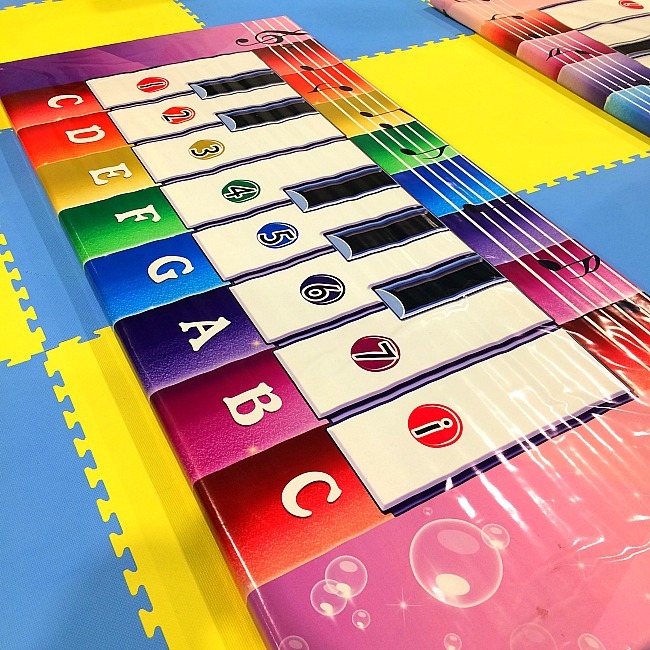 Secondly, there are plenty of fun options for both the younger set and older kids. I didn’t take a ton of photos because it was dark (and I am not the greatest photographer in the world), but there are a lot of soft obstacle course-like features like these stepping stones, trampolines, tunnels and ropes (I am pretty sure I saw ropes), and even a contraption where kids can shoot soft balls at a target. Yep! Just to the side of that ball pit slide is a small room where dozens of balloons are floating around, just waiting for your kiddos to try and chase them, or sit on them I suppose. It is a pretty fun and whimsical part of Hyper Kidz. Under the balloons is this giant Lite Brite. 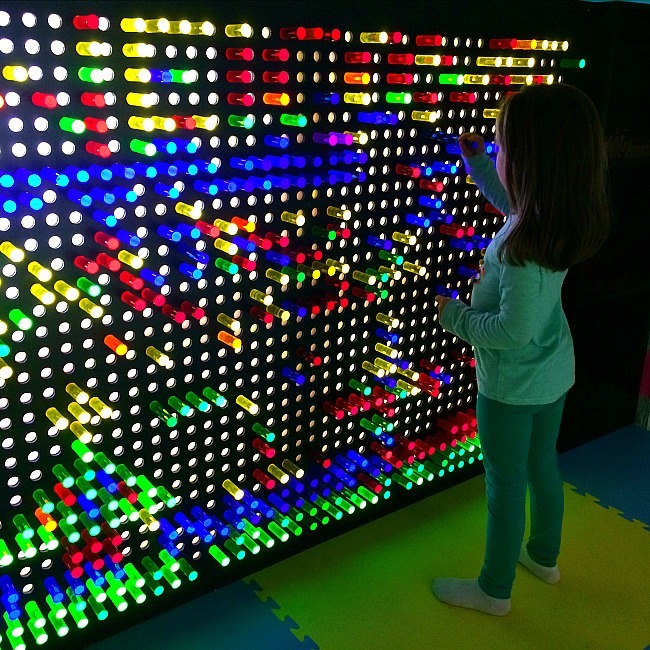 I have seen one of these at Light City in Baltimore and always thought it was cool, but never played with it. My daughter didn’t stay long (too many slides to try out) but we did have fun trying to makes words and pictures with the light cylinders. 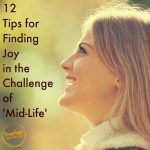 Disclaimer: I am well into my forties and pretty chubby– so I wasn’t playing with my daughter when she was in the big kids area of Hyper Kidz. That is really fine though because there are tons of safety conscious staff members monitoring the kids inside. So, after about 5 minutes of hovering, I took a seat next to the big kids area and just chilled out… waiting for my 5 year old to pop out when she was ready. Imagine my surprise when I heard her scream. Granted, it wasn’t fear screaming or pain screaming. It was roller-coaster ride rush screaming. And then I saw this… my daughter suspended in mid air, falling through layers of straps from the top of the play structure to the trampolines below. 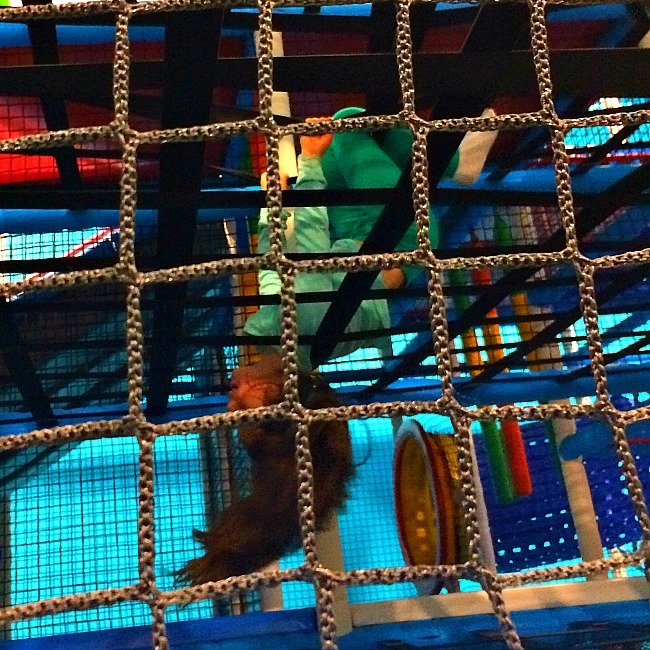 She was hanging, dangling, falling… and having a blast. As soon as she reached the ground she would yell, ‘I want to do it again!!! !’ and off she went to subject herself to another round of controlled falling. She did it 20 times in a row. One of the staff members told me this play feature is called the ‘Spider Web.’ According to my daughter, this is the best thing about Hyper Kidz. 10. Whatever this play feature is…. This is one of those motorized play features I mentioned above. I wanted to give it its own line item though because there was much giggling when we tried it out. The kids can actually get almost vertical before they fall out. It is pretty fun! 11. 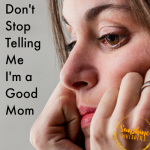 Hey Mamas! 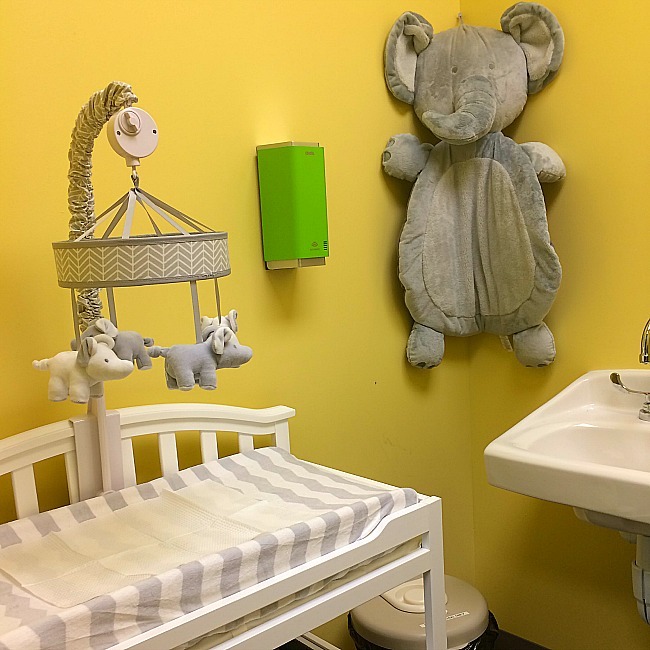 A lactation room! 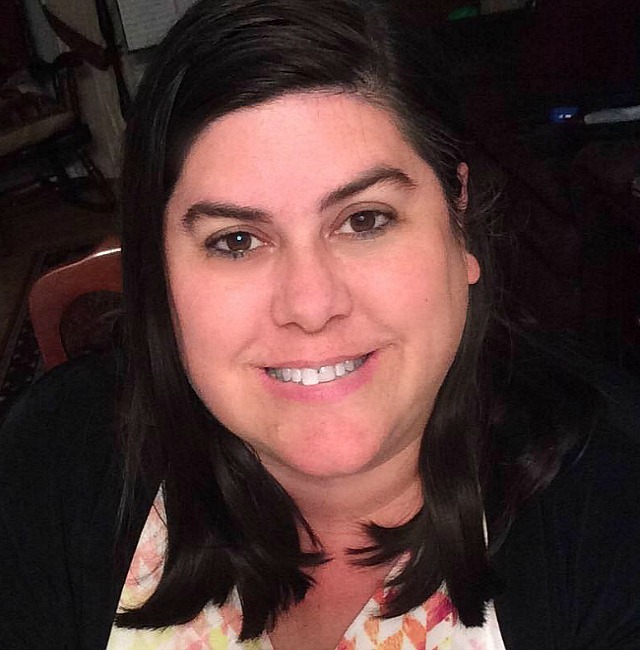 I had to include this because it is just such an awesome, Mom-friendly feature. A lactation room! Not pictured is the super comfy chair. How cool is that? 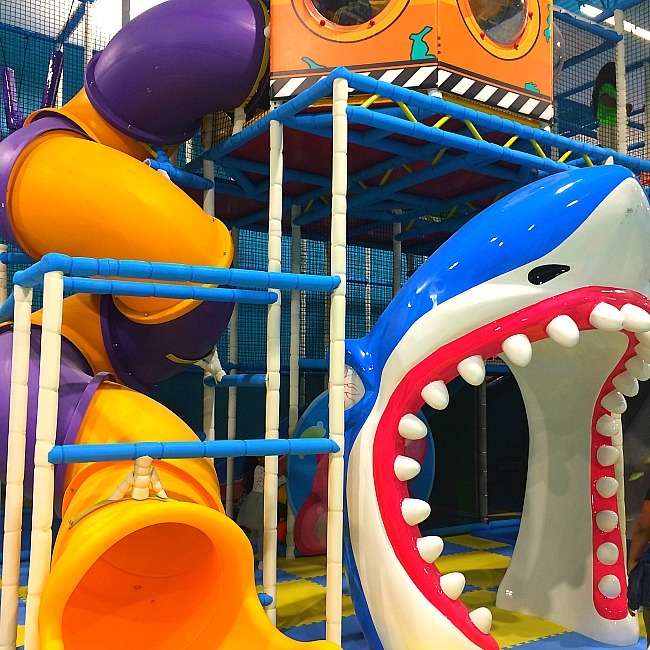 I am in love with all the ways in which Hyper Kidz has gone out of the way to ensure their facility is family friendly for families with kids of all ages! Hyper Kidz is a socks only facility. You don’t have to purchase special socks (although you can), but everyone has to wear socks (parents included) in order to enter the play area. Cost of admission: Ranging from $7-$16 based on ages, time of the week (weekends are more expensive), etc.. Infants 0-12 months are free with a paid sibling. Parents are also free with paid children’s admission. However, a third adult incurs a small fee of $5. Hours of operation: Hyper Kidz is open 7 days a week 10AM-8PM Monday-Thursday, 10AM-9PM Friday and Saturday, and 11AM-7PM on Sunday. Walk-Ins area accepted and once in you can play all day. 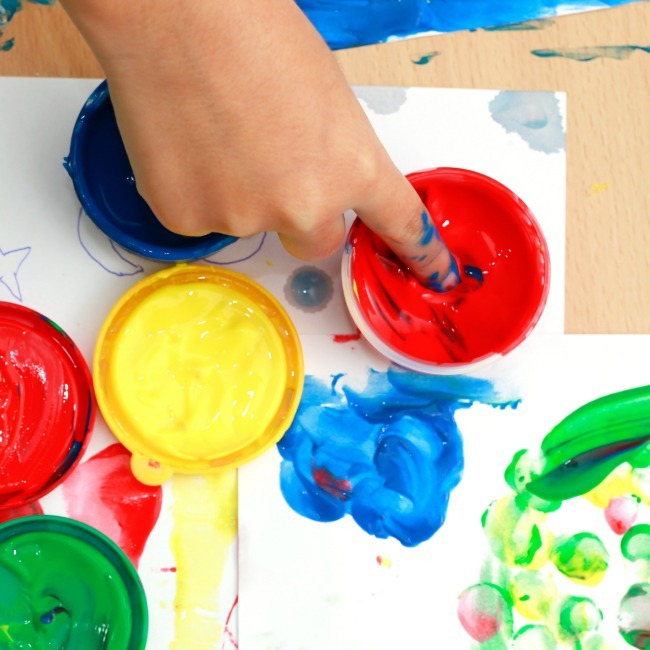 There are no time restrictions on play. However, Hyper Kidz is VERY popular. You might want to call ahead to ensure there is not a wait before you pack up and bring your kids. If you do arrive and find there is a long wait, Launch Trampoline park is literally right there (a great back up option any day!!!). You can bring snacks for kids but otherwise you can’t bring your lunch or other food. Hyper Kidz sells pizzas, wraps, and other food items on the premises. I hope you decide to check out Hyper Kidz soon! 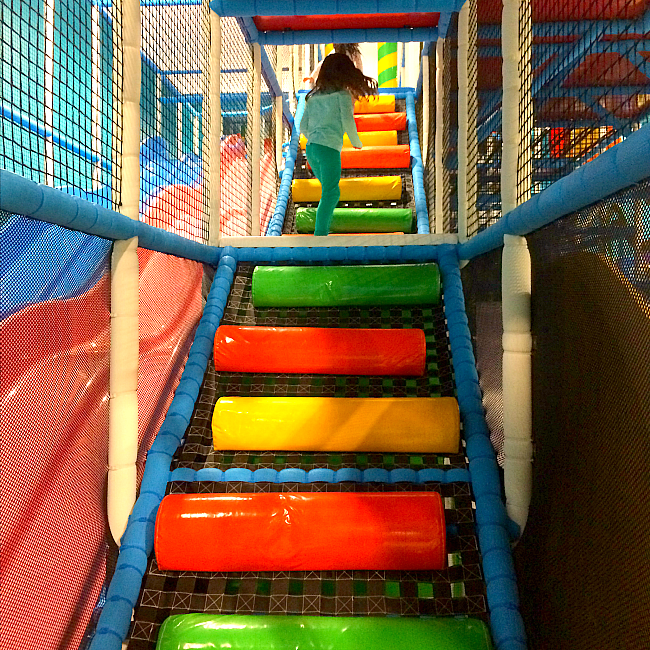 It really is one of the best indoor playgrounds for kids we have ever played in!